Zehra Elbir, a former court clerk who was earlier dismissed from her job in the government’s post-coup purge of state institutions, was detained only 40 days after she gave birth to her second child during a visit to her husband in prison. Eril Elbir, Zehra’s husband and a former police officer who was also dismissed over his alleged links to the Gulen movement, has been under arrest for 9 months. 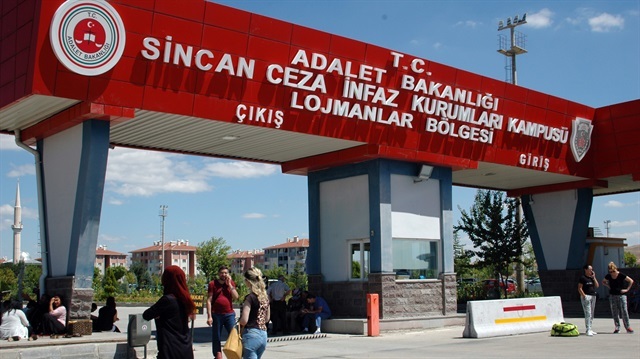 In yet another example of disproportionate punishment imposed on people targeted in Turkey’s post-coup witch-hunt, Elbir was taken under police custody along with her 40-day-old baby when she showed up at Ankara’s Sincan prison to meet her husband during an open visit on June 16. It is not the first time that Zehra was detained, media said, adding that she has been taken into custody also another time when police raided a hospital and caught her while she was accompanying the family’s other child. Dozens of human tragedies in Turkey have been reported, part of post-coup witch-hunt against the Gülen movement, which the ruling Justice and Development Party (AK Party) government along with President Recep Tayyip Erdoğan accuse of being behind the failed coup.